Now that Star Wars: Episode VII - The Force Awakens has been in theaters for over a month we're finally able to dig deeper into the production, specifically shedding light on some lesser know actors that had small but important roles in the film. 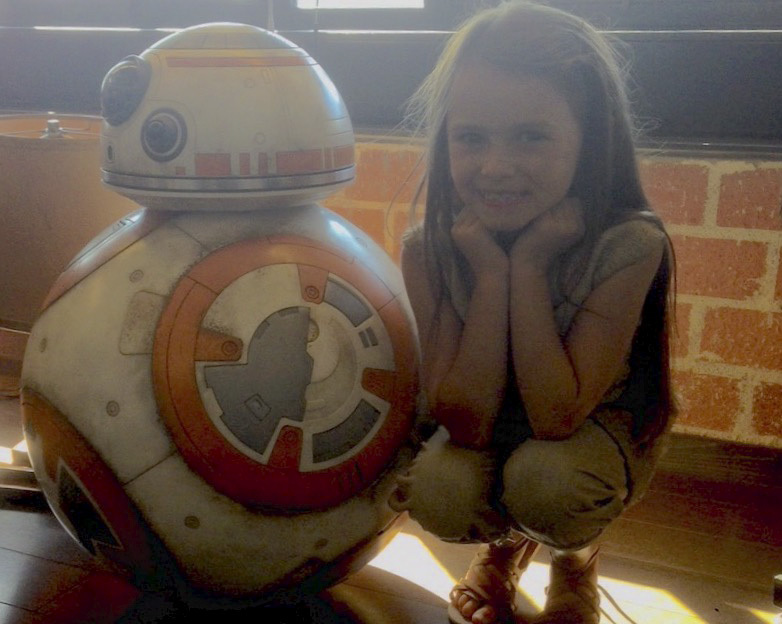 The guys at Star Wars News Net recently alerted us to one such actress named Cailey Fleming. 8 year old Cailey hails from Picayune, Mississippi and has been an aspiring actor since she was 4. Her short career has put her in numerous productions on the big and small screen, but none can be bigger than one of her latest roles. At some point Cailey auditioned for a film role and got the part which, unbeknownst to her at the time, was for Young Rey in The Force Awakens. It's awesome to hear Cailey's story and get to know her better. And as a Mississippian myself, it was especially exciting to know someone else from my home state has a crucial role in the Star Wars saga(the other being the legendary James Earl Jones). We still know very little about Rey's past, which the creators have promised will be elaborated on in future films. Hopefully there will be room in Episodes VIII and/or IX for Cailey to reprise her role and shed some light on the character's lineage. I wish I knew how old she was, or, better yet, how old Rey is supposed to be in that scene...it would make coming up with wild theories a lot more, uh, plausible? The actress is 8 and Rey is supposed to be 8 or 9 during that scene. I also wish I knew how old she was, or, better yet, how old Rey is supposed to be in that scene. Any evidence, e.g. a quote would be greatly appreciated. Wikipedia says filming for TFA was Apr-Nov 2014. This would make Cailey Fleming 6 or 7 at the time of filming her 'Forceback' vision. Just a rough estimate atm.